Remember Sarah Geronimo’s hit remake of the song ‘I’d Do Anything for Love’? We bet she was humming that magical ballad when she recently had her first motorbike ride at the MX Messiah Fairgrounds in Taytay. 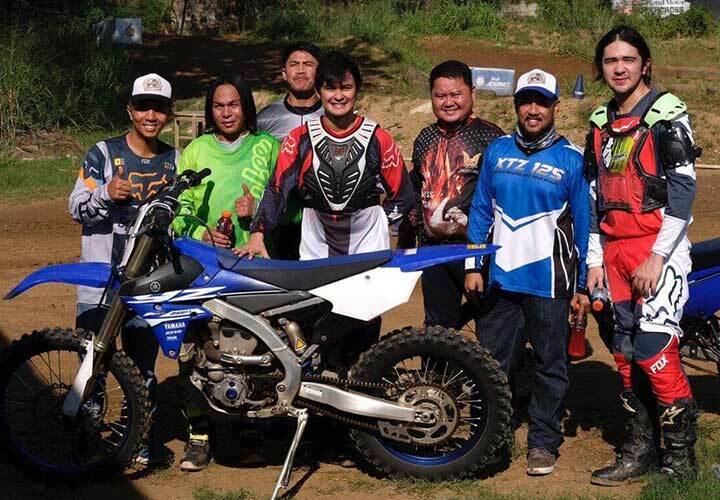 The singer and actress found herself doing quick laps on a mini trail bike at the off-road riding camp while her longtime boyfriend Matteo Guidicelli honed his riding skills on a Yamaha XTZ125 and, later on, the more powerful YZ250FX. We’ve known Guidicelli as a gear nut since he was a kid, starting with karting and eventually moving up to car racing. He rode bikes in between, and many know him as an avid motocross rider. He and MX Messiah founder Sam Tamayo have known each other since the prime of the latter’s motocross career a long time ago. 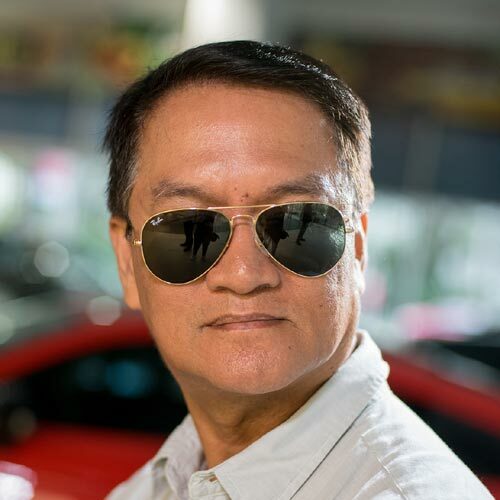 In several movies, Tamayo has also served as the actor’s double in some motorcycle stunts. A few days ago, Guidicelli had Geronimo tag along with him to MX Messiah for his practice runs. 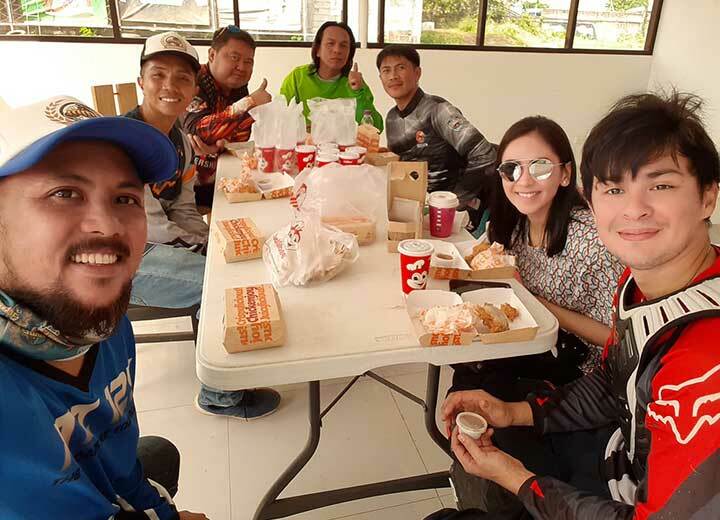 Supposedly, she was only there to watch her boyfriend doing what he loves most, but out of the blue, while taking a break from practice, Guidicelli asked Tamayo to help him persuade Geronimo to try riding a motorbike—by herself, that is, because she’s used to joining him on rides as a passenger. 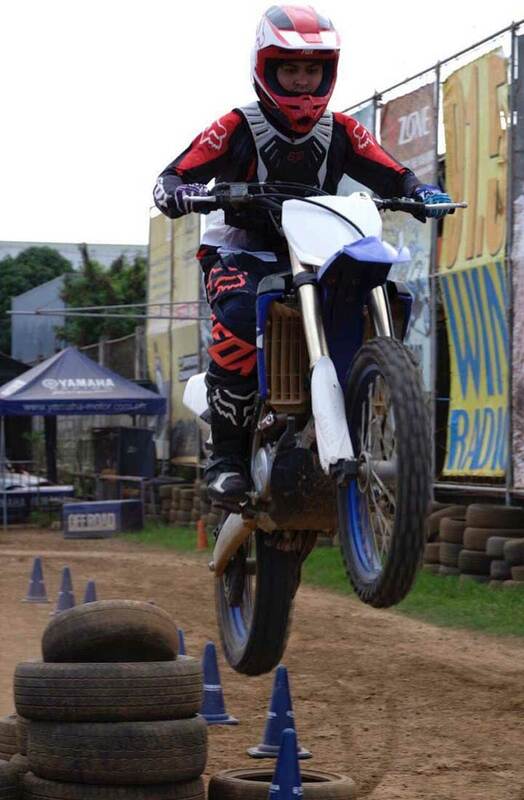 “It didn’t take too much effort to win her nod, especially after I showed her the Yamaha PW50,” Tamayo recounts. The Yamaha PW50 bike is an indestructible two-stroke, fully-automatic 50cc off-road training bike that has earned a solid reputation as a beginner-friendly steed. For Geronimo, being offered the cute little PW50 for an introductory riding course must’ve felt like nailing all the high notes during a live performance. After they heard her sweet ‘yes,’ the trainers quickly provided her with a set of riding gear. The reassurances of Ariel Rosario, her riding coach, dispelled Geronimo’s initial apprehensions. By the way, she has been into bicycles since her younger days, so there was no need to install training wheels to the PW50. It took only a few laps before Geronimo was finally bitten by the biker bug. Every time she completed a lap, she told her coach: “More pa! More pa!” Like a kid enjoying her cute little bike, she was even overheard shouting “yehey” from the far end of the dirt track. 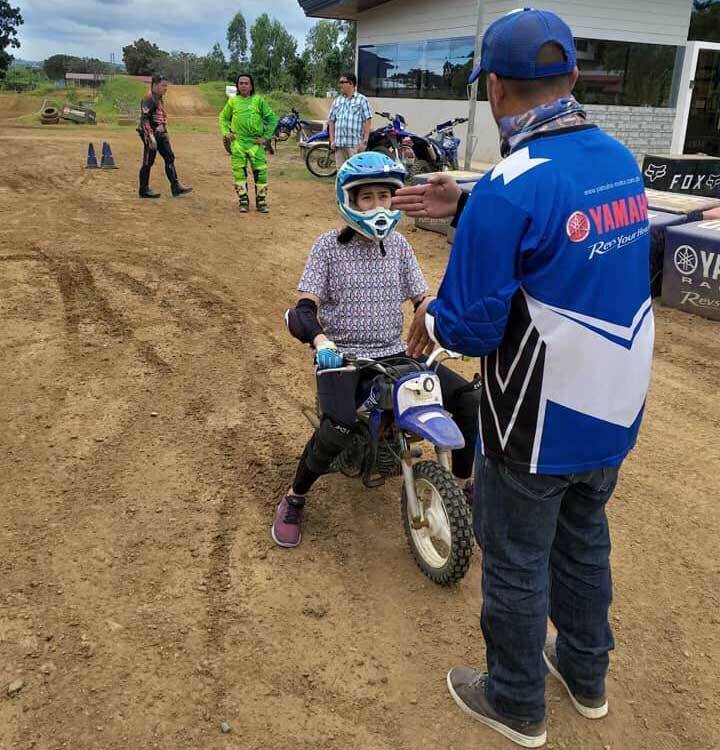 Watching her ride the PW50 was nostalgic for Guidicelli—he had the same adorable machine when he was a nine-year-old doing small jumps on a motorcycle track in his hometown of Mandaue, Cebu. 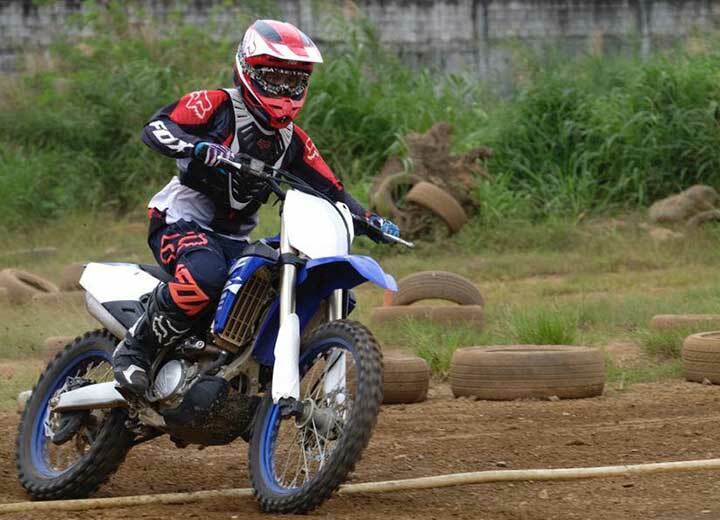 Tamayo says Geronimo has expressed her intention to return to MX Messiah Fairgrounds not just to watch Guidicelli in training, but to officially enroll in the basic riding course. There’s no doubt these two lovebirds have found a new date place. Till their next ride, we can only guess Geronimo will be humming that same wonderful ballad. Welcome to the riders’ world, Ms. Sarah G! 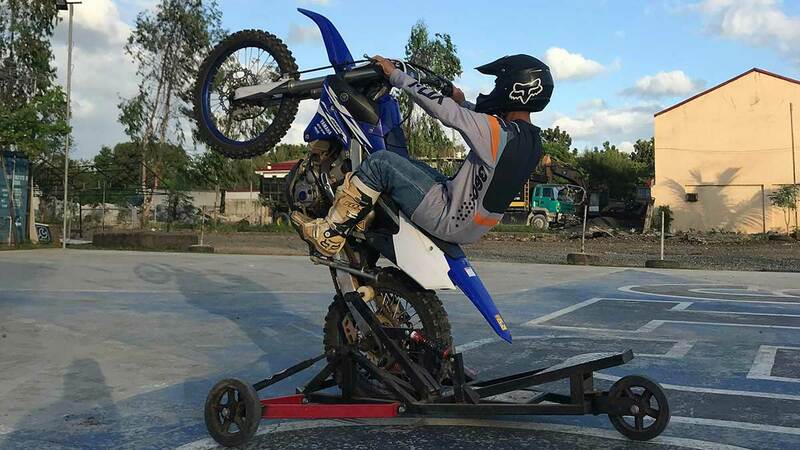 Would you dare learn to wheelie a motorbike using this device?